Installing Tulsa holiday lights has never been easier than with Green Leaf Lawn. 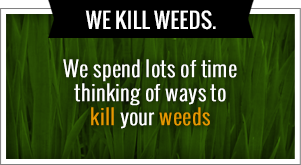 During the other seasons we are known for lawn care, weed control and providing the top landscaping services in the city. But as the weather begins to change, the Christmas music begins the play and the carolers start singing, Green Leaf Lawn is the number one Tulsa light installation professionals in the city. We have help the businesses and homeowners create the perfect holiday atmosphere for years. 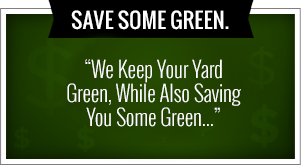 Professional, on time and great quality service, contact Green Leaf Lawn for your free estimate at 918-640-6405. Our professionalism is known throughout the city especially during the holiday season. Businesses and homeowners recommend our services because we are fast, professional and turn their vision into a reality. With well trained lighting technicians and designers, we can get those Tulsa holiday lights up in no time while also installing garland and pre-lit wreaths. We are excited about the holiday season because is our opportunity to bring a little bit of Christmas spirit to those who would otherwise be stressed out. Don’t be stressed out this year but go with the best in installing your lights. Hanging up Christmas lights can be a huge success without you having to lift a finger. We take your Tulsa holiday lights, install them perfectly and tear them down after the season is over. Our professional team will take accurate measurements, offer suggestions and give you an accurate free estimate on how much is going to cost to do what it is you need to have done. Our lighting professionals are here to make your life easier so that you can focus on other aspects of the holidays like finding a Christmas tree, remodeling your house or purchasing those ideal gifts. We also provide the same Tulsa holiday light installation service for businesses big and small. We have worked with companies of all sizes in helping them install there Tulsa holiday lights so they can focus on their customers, employees and getting ready for the big sales that are just around the corner. Our goal is to focus on the lights so that you can focus on other things. Running a business during the holidays is a big undertaking and we want to make it as easy as possible for you. If you’re ready for the Tulsa holiday lights to be put up fast, easy and in the best way possible call Green Leaf Lawn today for your free estimate. We also can connect you with the creative lighting technicians if you need a light up your holiday party or event for this year. The experience that we have acquired over the years is top notch and we are always looking for ways to over satisfy our customers. You won’t be disappointed in the results. We hang up the lights that we even make Santa take a second look as he flies over your house. It’s Christmas time the city, it’s Christmas time the country and it’s Christmas time in your home. Christmas is always an exciting time where people come together to simply enjoy the atmosphere and the company of friends and family. But wait Did you forget something? The Tulsa holiday lights! This is something that you do every year and something that you way until the very last minute because it could possibly be the worst job. If you’re not looking forward to hanging up your holiday lights this year give us a call today at 918-640-6405 and allow Green Leaf Lawn to assist in getting those lights up. We understand that you love the Tulsa holiday lights once they are installed on your home. The installation part is the part that you struggle with. There are so many pieces and factors of getting those lights up. First you have to find them. They’re probably somewhere in the attic or buried in the garage tangled up in a wanted mess from last year. But do they even work? This is the question that you ask yourself every year and the answers always unknown. There’s a chance that they might still be working there’s also a chance that only half of them work. All of the stress, concern and aggravation does not have to be year holiday experience this year. Green Leaf Lawn provides the lights. Not only do we provide lights but we provide the professionals to install those Tulsa holiday lights. We come to your home providing you with a free estimate and suggestions that can turn your home into the number one holiday destination spot in the city. This is your opportunity to really impress your neighbors and to show Bob down the street, Bob who always puts out 1 million different Christmas decorations, that you to can turn your home into the ultimate winter Wonderland. Our lighting professionals hang up the lights in a timely manner and we even tear them down at the end of the season. It’s about to get really busy. Your business is thriving and has become a popular spot for holiday shoppers. It’s your job not only to provide great customer service, gray quality products but invite your clients into perfect holiday atmosphere that will get them in the mood for buying. With so many other things to think about concerning your business, Green Leaf Lawn can hang up your Tulsa holiday lights and provides you with creative designers who can help you out this Christmas season. Stand out from the crowd and allow yourself to focus on the more important aspects of your business this year. We help businesses, property managers and homeowners get the job done right. Creating the perfect holiday atmosphere is not hard to do but it does take time away from other holiday activities. Green Leaf Lawn will take it upon themselves to hang up your Tulsa holiday lights, tear them down and store them away for next year. Our crew will provide you with an accurate free estimate on how much it will cost to hang up the lights and will get the job done without you even so much as looking at a wad of tangled Christmas lights.